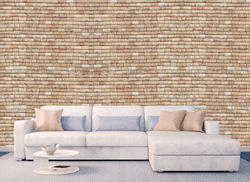 Leading Manufacturer of cork mosaic wall covering, cork wall covering shell cork, cork flooring tiles, colored cork wall tiles, hexa wall coverings and treek wall coverings from New Delhi. We have successfully established ourselves as a prominent name in the market for offering a quality assure array of Cork Flooring Tiles. Our offered range of product is available in a variety of designs and also as per the given requirements of clients. Further, the offered products are precisely developed to increase the decoration of used areas. Also, these products are offered within the committed period of time. 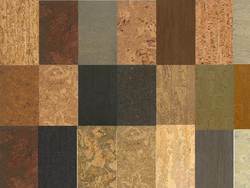 We are enlisted as one of the reputed firms of a premium range of Colored Cork Wall Tiles. These are suitable for both indoor and outdoor constructional activity. These are made using the superior quality material to offer a well-polished range. Our range is known for their unique features as easy to clean, attractive designs, durability and perfect finish. These are available in varied specifications as requested by our valued clients. Moreover, our clients can avail the offered range from us at market leading prices. Cork Wall coverings Bring the natural beauty of the forest to your interior designs with this never-before-seen organic decor. Designer Cork Tiles are easy-to-apply wall panels layered with the bark of cork oak trees— durable, sound-dampening, and temperature-insulating for use in homes and commercial spaces alike. With three eye-catching styles, Designer Cork Tiles can create understated room accents as well as visual centerpieces to easily transform your walls into art. Our Cork Wall coverings Bring the natural beauty of the forest to your interior designs with this never-before-seen organic decor. Designer Cork Tiles are easy-to-apply wall panels layered with the bark of cork oak trees— durable, sound-dampening, and temperature-insulating for use in homes and commercial spaces alike. With three eye-catching styles, Designer Cork Tiles can create understated room accents as well as visual centerpieces to easily transform your walls into art. 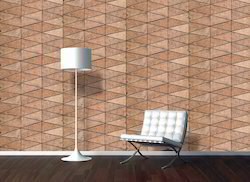 Branco Mosaic is natural hand made cork wood texture, which is used for decorating back walls . 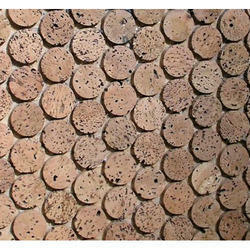 GRAIN Cork Wall coverings Bring the natural beauty of the forest to your interior designs with this never-before-seen organic decor. Designer Cork Tiles are easy-to-apply wall panels layered with the bark of cork oak trees— durable, sound-dampening, and temperature-insulating for use in homes and commercial spaces alike. With three eye-catching styles, Designer Cork Tiles can create understated room accents as well as visual centerpieces to easily transform your walls into art. 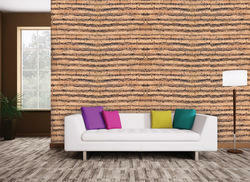 We are the leading name in the market engaged in offering a wide assortment of Leo Wall Texture. This is available in various varieties that are natural wine cork stopper, fine grain agglomerated wine cork stopper, agglomerated wine cork stopper, and technical 1+1 wine cork stopper. These are made from specially selected corkwood, which is cut into shape, carefully checked for flaws, washed, sterilized and printed. Its a wooden tile texture and made by hand using cork material . It can be us for Interior Decoration of Residential commercial as flooring wall covering. One of the most running wall texture on wooden textile . 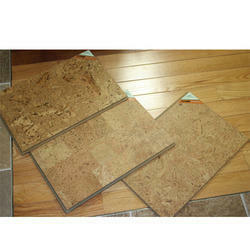 It is made by cork product which is water resist and sound insulator . Trazo can be use for Interior Decoration of Commercial Residencial flooring wall covering. 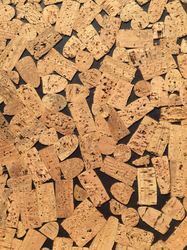 These cork texture can aslo used for table top. 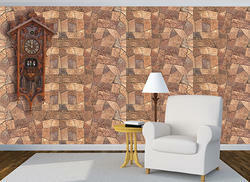 VINTAGE is a texture made up of "Wine Cork" . It is fully handycraft material used for wall covering .